The pool comprises a paddling pool (25m sq) with a depth of 40cm waterfalling into a large pool (75m sq) with a shallow end of 1m and a deep end of 2m. It is situated on the edge of the Adour Valley with spectacular views of the mountains. The 4 Gites are purpose-built and restored using traditional materials. The accommodation is situated within a private courtyard, with a separate parking area. 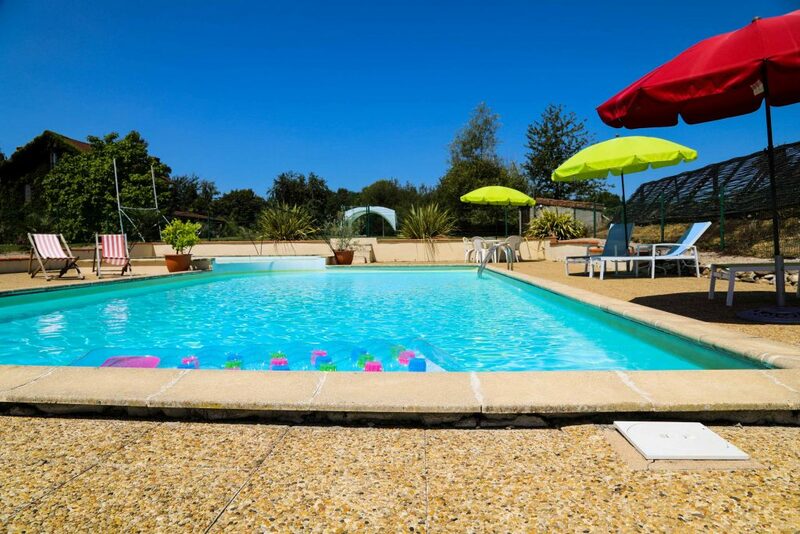 Each Gite has its own garden, with an Outback BBQ, dining area and garden furniture.